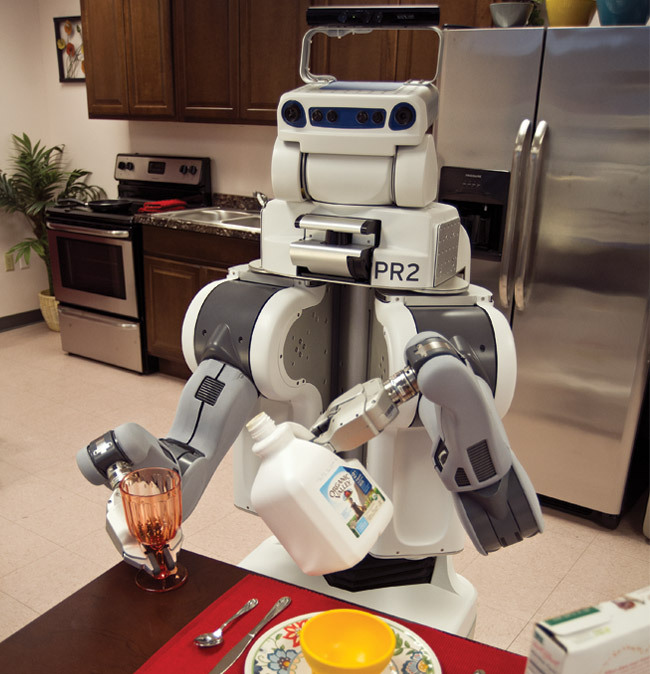 In the Living Laboratory,UTARI's robots are programmed to perform household tasks. Someday soon, a robot may save your life. That’s the driving focus behind the new Assistive Robotics Lab at the UT Arlington Research Institute (UTARI). Launched in December 2012, the lab is aimed at advancing robotics for health care, first-responder, and other applications. At its opening, the lab received robots from RE2 Inc. and QinetiQ North America that researchers hope will someday aid in that task. These included a mobile, manipulative robotic nursing assistant that, among other things, can be used for physically intensive tasks, such as helping a patient sit up or transfer to a gurney. UTARI also recently debuted its Living Laboratory, which allows researchers to focus on projects that center on enabling robotic platforms to assist people with common household activities.